It was only during my college years when I heard of a dining experience called Dine LA (or Dine Boston, Dine NY, etc.). For two weeks, restaurants showcase selected items from their menu to create a 3-course prix fixe menu. Unfortunately, I didn’t have a spare $45 lying around during college to take advantage of this experience. Fast forward several years and now I am fully taking advantage of Dine LA. My most visit recent during the two weeks was at a restaurant I have been dying to visit for quite some time, Tom Colicchio’s Craft in Los Angeles. Tom Colicchio quickly became my favorite chef after Top Chef and it was only right that I try his food. Although the menu didn’t seem too exciting, every dish was flavorful, well prepared and overall delivered a spectacular experience. 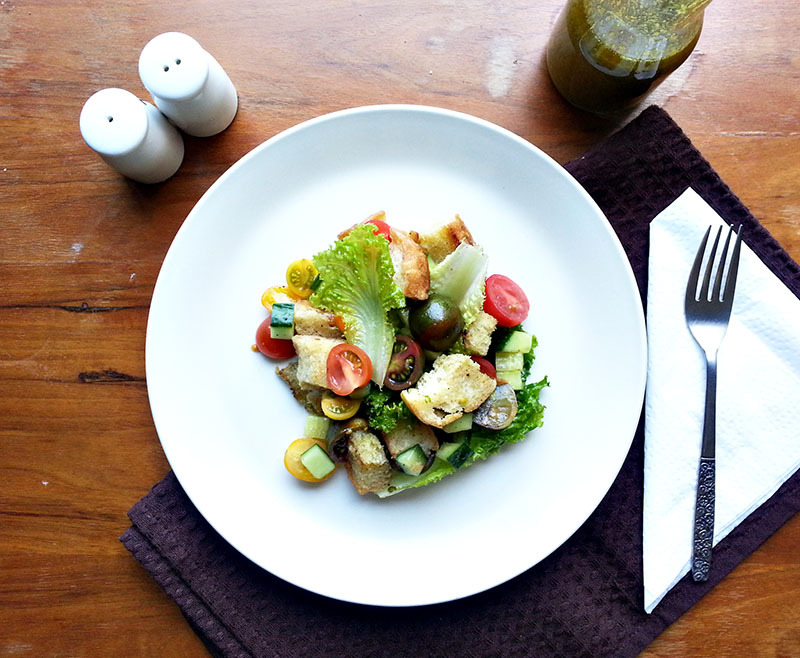 One of the first courses was an heirloom tomato and cucumber Panzanella salad. 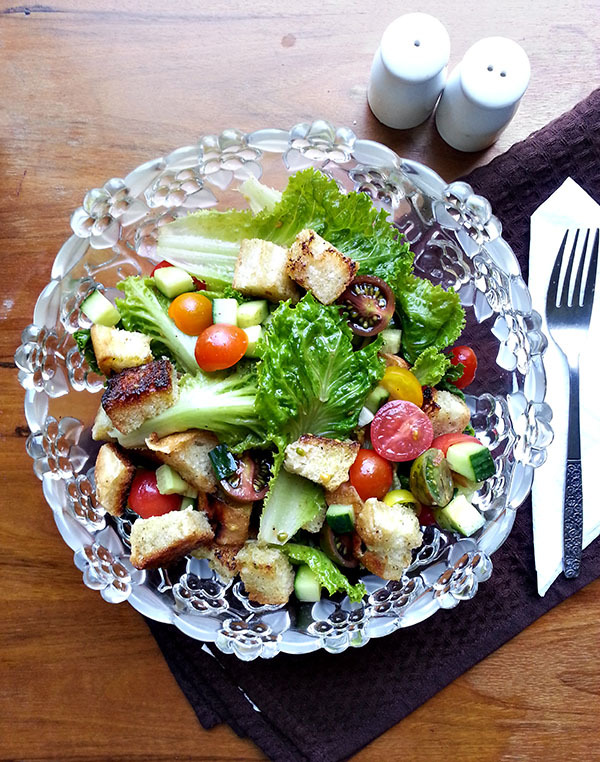 I never thought much of this bread salad since it’s simply croutons with some tomatoes. Tom Colicchio’s version used farm fresh vegetables and had a light vinaigrette that made this ordinary salad extraordinary. He reminded me that even a simple salad with tomatoes, cucumbers, and croutons can be exciting. Here is my version of the salad as an ode to the master chef, Tom Colicchio. Toss bread with olive oil, salt, and pepper. Spread on a baking sheet and bake until toasted, about 5 minutes. Remove from oven and let cool. Make vinaigrette by blending together basil - black pepper. Slowly add olive oil while the blender is on, emulsifying the dressing. Set aside. Toss together salad ingredients with vinaigrette. Serve. 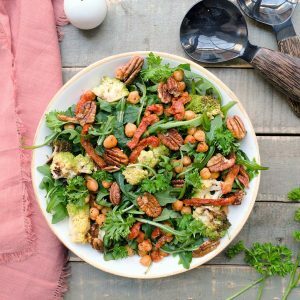 Since this salad is composed of such few ingredients, each has to be fresh and delicious on its own. When combined, the ingredients should sing together and create one unifying dish. Tomatoes are fresh and bountiful right now; heirloom tomatoes should be easy to find at any of your local markets. I chose baby heirloom tomatoes but you can also stick to cherry or grape tomatoes. Buy whatever looks the sweetest and freshest! 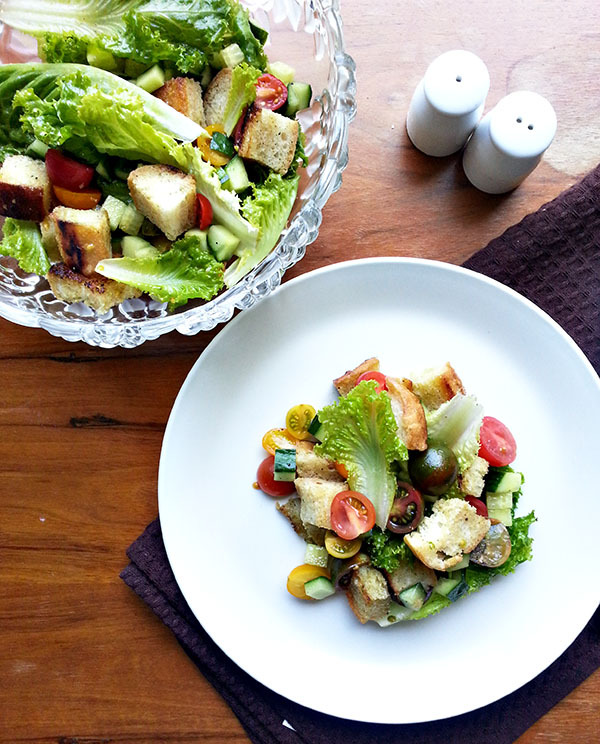 I love using sourdough bread for my croutons as opposed to regular french bread, but that’s a personal preference. Not a fan of sourdough? 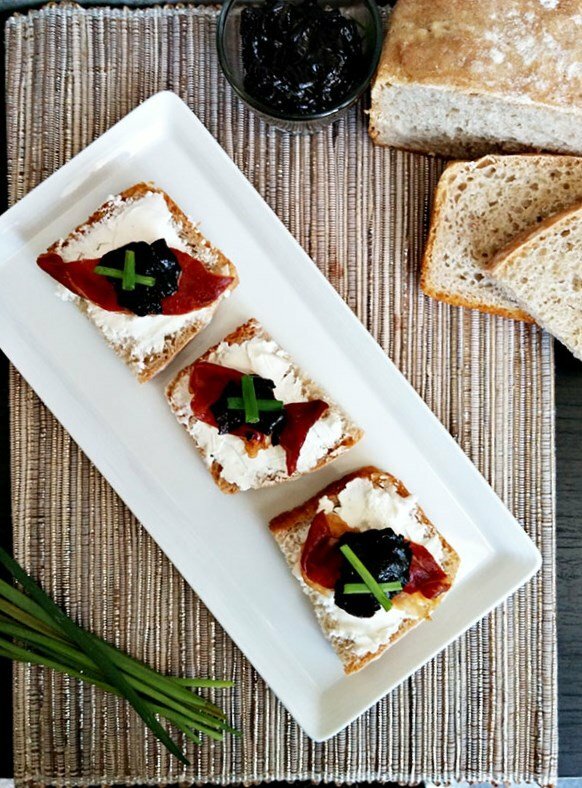 Choose french bread, baguette, or even garlic bread. Toss all the ingredients right before serving to avoid having soggy croutons. I added in corn and chicken for a full meal-sized salad and loved every bite. 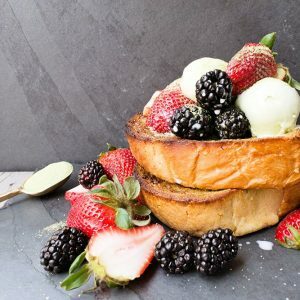 Light, refreshing and taking advantage of the farm to table concept? Love it!